[Man] invented a concept that has since been variously viewed as a vice, a crime, a business, a pleasure, a type of magic, a disease, a folly, a weakness, a form of sexual substitution, an expression of the human instinct. He invented gambling. 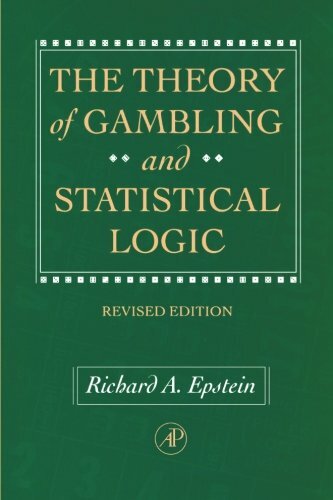 Richard Epstein’s classic book on gambling and its mathematical analysis covers the full range of games from penny matching, to blackjack and other casino games, to the stock market (including Black-Scholes analysis). He even considers what light statistical inference can shed on the study of paranormal phenomena. Epstein is witty and insightful, a pleasure to dip into and read and rewarding to study. The Past 25 Quick Draw Method: Use the Past to Predict the Future!